Stunning vistas of land and water evoke a feeling of well-being and wonder wherever you go in San Francisco. Here are just a few glorious spots among the "thousand viewpoints in the viewtiful city." We've included some suggestions for pre-trip reading or just a little couch travel. 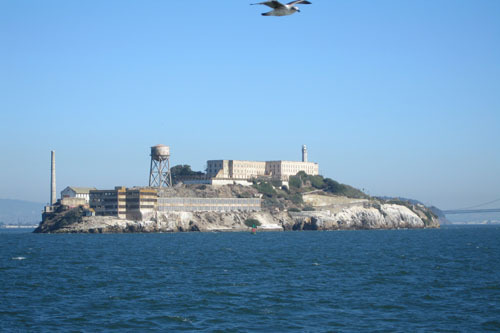 Once a high security federal prison for the most notorious criminals, Alcatraz Island is now a National Park. A short ferry ride to this island from Fisherman's Wharf takes you to the island for a two hour tour. To avoid waiting, we suggest you buy your ferry tickets in advance, or work on your open water swimming technique. A 45 minute audio tour is included that takes visitors through the cell house while they listen to interviews with former prisoners and officers and learn about the island's early role as a fort during the Civil war and it's occupation in 1969 by American Indian activists. Buy tickets in advance from website www.alcatrazcruises.com as tours often sell out as much as 1-3 weeks in advance. The Golden Gate National Recreation Area (GGNRA) is a collection of natural and man-made attractions surrounding the San Francisco Bay Area. One of the largest urban parks in the country, covering more than120 square miles from Tomales Bay in Marin County, to San Mateo County on the Peninsula, the GGNRA has something for everyone. 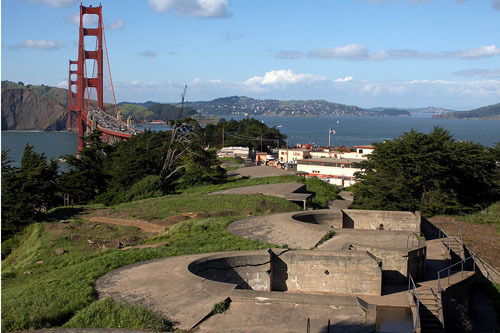 You’ll find five National Historic Landmarks and 12 National Register Properties among the 739 historic buildings, nine documented cultural landscapes, 61 recorded archaeological sites, and the country’s largest collection of military installations and fortifications. Prominent among them is the Presidio, once a military post, now a lush park, residential and commercial neighborhood, and home to spas, restaurants, and George Lucas’s film complex. The Presidio’s trail network takes you from sandy bay shore to rugged coastal bluffs, through an historic forest and past the work of 11 artists and designers commissioned to create sculptures for the Presidio Habitats art installation. Crissy Field, once a U.S. army airfield, is the premier recreation area on the Presidio, with access to newly-restored tidal marches and beaches along the Bay Shore. Head west toward Fort Point to access the Golden Gate Bridge, a 1.7 mile walk to Marin County with unparalled views of the Marin Headlands, San Francisco, the East Bay, and Alcatraz. Remember, San Francisco can be foggy and cold. Bring layers and you’ll be a happy hiker. Price: 10 $ (10.0 USD) ages 16 and older. 15 and under free. At one time the California coast, from Monterey to Oregon, was home to more than two million redwood trees. Today, that number has dwindled as growing populations and the logging industry cleared out most of those trees. But thanks to the efforts of U.S. Congressman William Kent and President Theodore Roosevelt, Muir Woods National Monument remains, providing visitors with an awe-inspiring glimpse of a long-gone natural world. Kent owned the land north of San Francisco in Marin County and enlisted the help of Roosevelt to protect the trees on his property when plans to dam the Redwood Creek threatened the area. Roosevelt declared the forest a national monument, the first created from private land, in 1908, but Congressman Kent and his wife Elizabeth insisted the new park be named for their friend, conservationist John Muir. (Kent and Muir would have a falling-out over the damming of Yosemite, but that’s another story.) 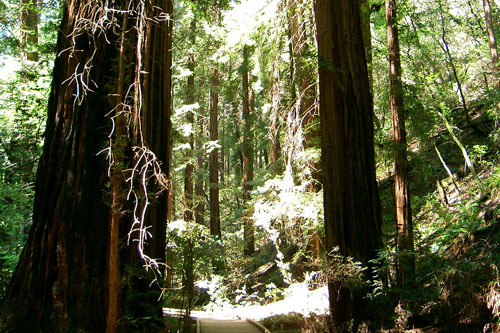 Muir Woods offers a quiet sanctuary in a growing urban setting, visited by close to a million people every year. The forest is regularly shrouded in fog and only those plants that can grow with a minimum of sunlight survive beneath the redwoods’ towering branches. The tallest redwood is about 260 feet, and the oldest could have been for 1200 years. Most trees range in age from 500 to 800 years old. Other trees in the forest include the California Bay Laurel, the Bigleaf Maple and the Tanoak. Redwood Creek, which runs through the forest, is a critical spawning and rearing habitat for Coho salmon and steelhead trout. In the winter, you can spot these fish making their heroic journeys upstream. Because redwoods repel insects, there are relatively-few species of birds, including the Northern spotted owl and pileated woodpecker. Muir Woods is home to the American shrew mole, Steller’s jays, Sonoma chipmunks, Western gray squirrels, black-tailed deer and banana slugs. Park closes according to Daylight savings time. 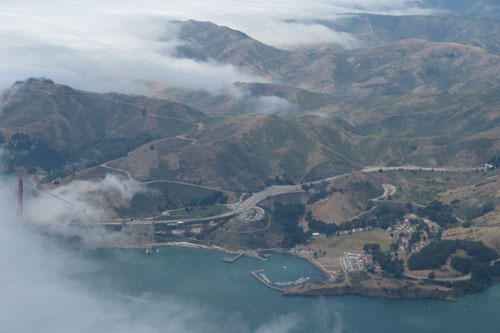 A former Army post, the Presidio is now a spectacular National Park with a number of buildings on the National Historic Register and almost 1500 acres and 25 miles of hiking trails and woodland to explore, many with wonderful Pacific views, including the Lobos Valley Overlook. Cyclists benefit from 14 miles of paved trails, and visitors should take advantage of a Park ranger led nature hike if possible. Act like a local and spend a half day or more exploring this stunning recreation area. At its edge lies the Golden Gate Bridge; walk across the bridge for some spectacular views. When you're tired, take the free shutlle service through the Park and to nearby Chrissy Field. This being San Francisco, you're never too far from a coffee bar or great restaurant. 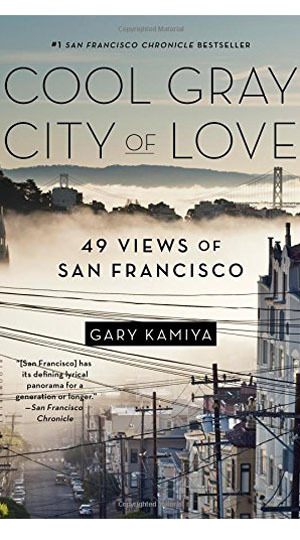 Walk the streets of San Francisco with writer and Salon co-founder Gary Kamiya; discover its secrets from the comfort of your armchair. Discover San Francisco, the gastronomic capital of the West, with its commitment to the best of local, seasonal, organic producers and evolving culinary scene. 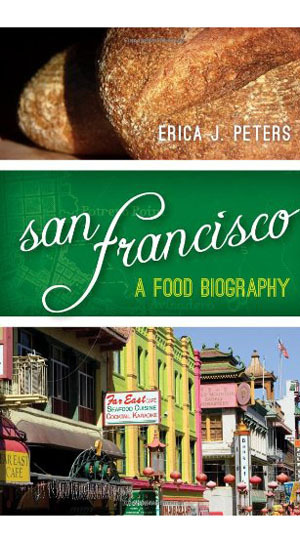 This luscious foodie tale of two centuries will have you searching for cheap airfares to the City by the Bay before you are finished with the book. A page turner of a detective story incorporating many of San Francisco's landmarks. 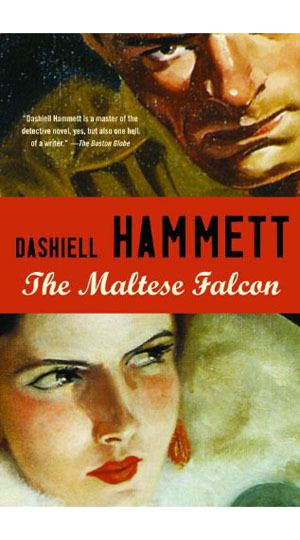 Then take Don Heron's literary tour that is an exploration of Hammett sites in the city. 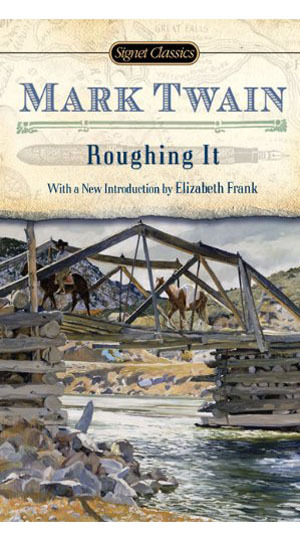 Twain's brilliant chronicles of his journey from Missouri to Hawaii.